Thinking of buying a microscope? 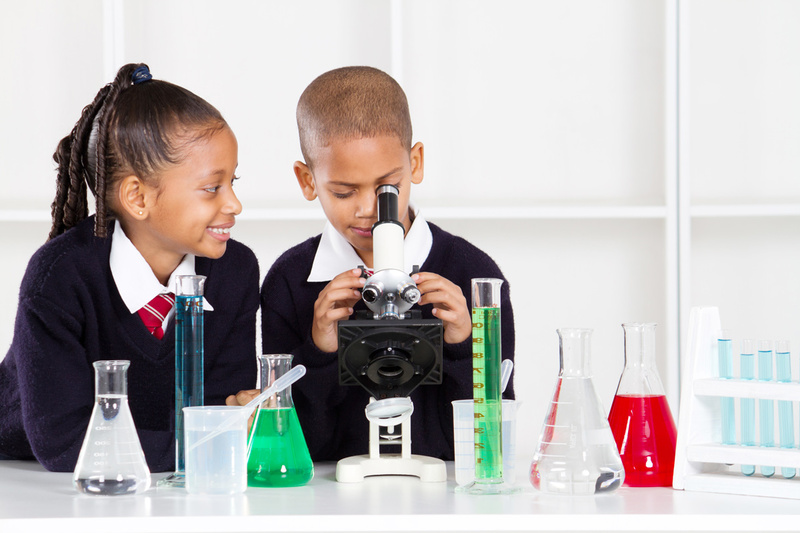 Microscopes fall into two basic categories: a compound, or high power microscope; and a stereo, or low power microscope. If you are interested in looking at materials such as insects, paper, shells, leaves, tiny mechanical parts, or table salt, you want to purchase a stereo microscope. The stereo microscope is an optical microscope using incident light illumination (light reflected off the surface of the sample is observed by the user). It uses two separate optical paths with two objective lenses and two eyepieces to provide slightly different viewing angles to the left and right eyes. Because of this it allows a three-dimensional visualization of the sample. Stereo microscopes employ low powers of magnification, usually 50X and below (there are some stereoscopes that have 100X), and are available in one of two configurations: dual power, which has two magnification options, or zoom, which has a continuous zoom range from the lowest power to the highest power. They usually have larger work areas for larger specimens. This is often a good choice for children because it is simple, easy to look through, and allows them to get a closer look at everyday objects. Fluorescent light is great because it doesn’t dry out the subject. 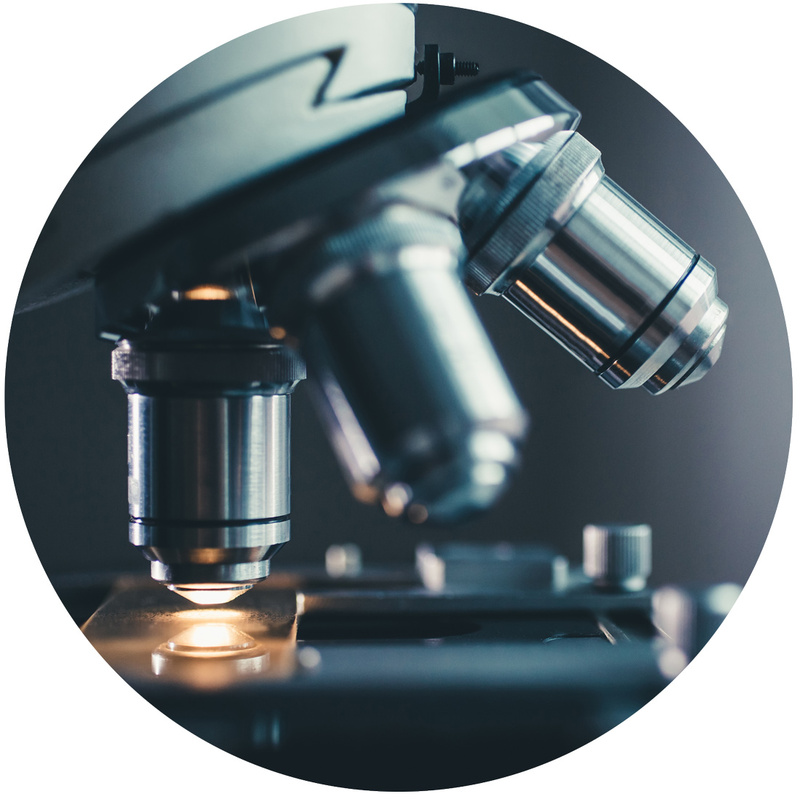 If you intend to view microscopic specimens such as bacteria, pond water, blood, skin cells, dirt, or viruses, you will need a compound microscope. Such specimens require higher powers of magnification in order to see the detail. 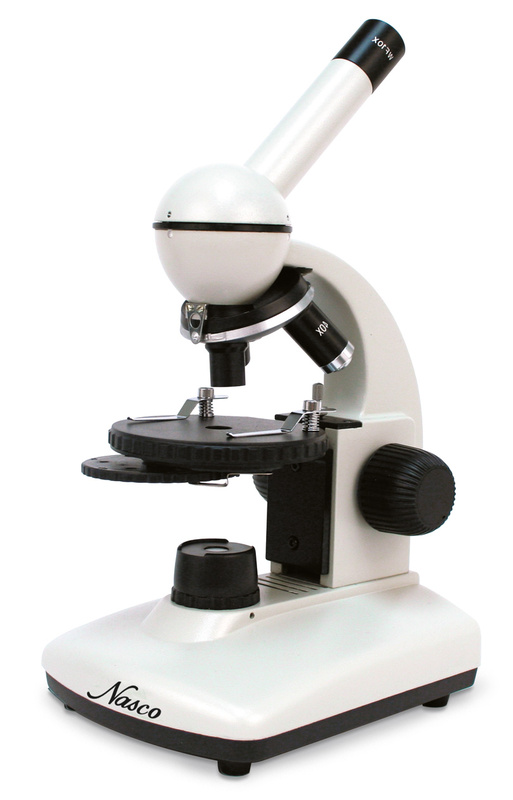 A compound microscope uses several objective lenses with different strengths to view specimens. It uses a light that shines from under the specimen, thus requiring the specimen to be thin enough for light to pass through it. Specimen preparation sometimes involves staining to make it easy to view distinct sections of the specimen. It has a magnification of 40X to about 1,000X and therefore shows detailed features of specimens. It has a shorter working distance of up to 4mm. A compound microscope provides a single optical path divided at the observation tube to give the same image to both the left and right eye. Most compound microscopes feature multiple ocular lenses, each with different powers of magnification that can be rotated to change the total magnification of the microscopic object or organism. Buy a microscope that is well built — one that will stand up to years of use. 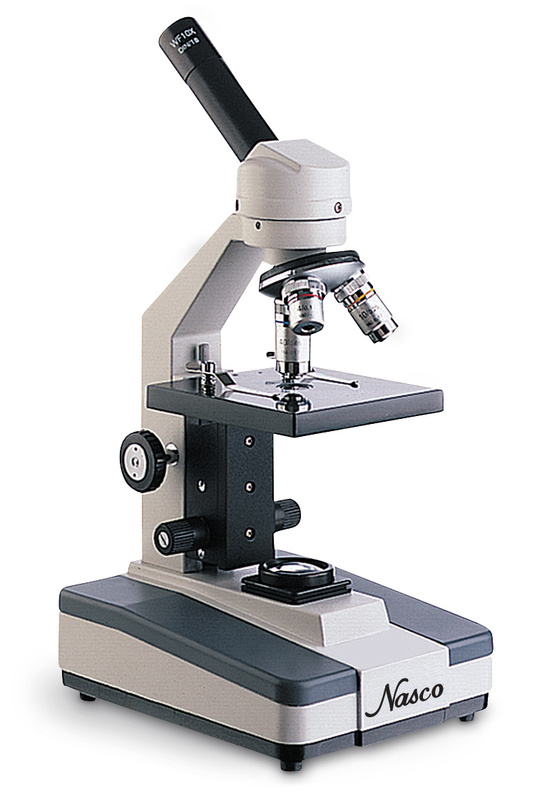 Quality components and construction, including a sturdy, well-built frame, are also important when looking into purchasing a microscope. The best are made of metallic alloys that minimize vibration, and experience minimal fluctuation with temperature variations. 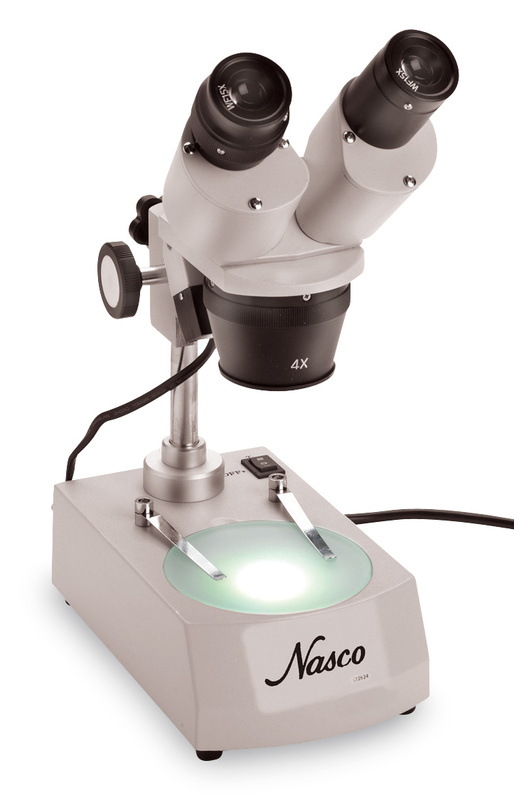 For stereo microscopes, try Nasco’s Economy Stereo Microscope (SB25261M). Middle school and high school students work well with Nasco’s Advanced Stereo Microscope (SB25266M). For your compound microscope needs, Nasco’s Elementary Compound Microscope with 360° Rotatable Head (SB27572M) is a perfect match for elementary school students; middle schoolers work well with Nasco’s Full-Feature Student Microscope (SB24173M); and Nasco’s High School Microscope (SB25253M) is perfect for high school students. Still trying to make a decision about your school needs? Contact the Science staff at Nasco and let them know what you’re looking for. We have an excellent selection of microscopes and accessories, and we have the right one to fit your classroom and your budget. Next Post Flexible Seating is the Way To Go!